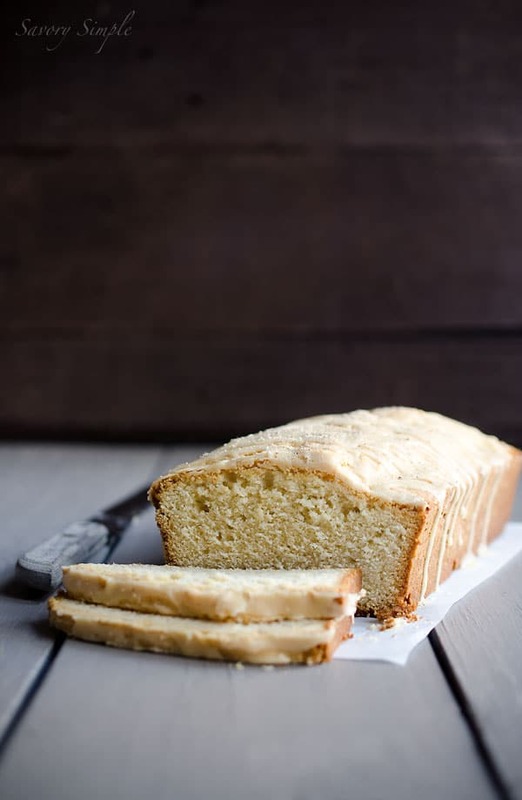 This heavenly eggnog pound cake is a perfect dessert for Christmas! It’s a total crowd pleaser; people will beg you for the recipe. I’m a bit late getting this recipe to you. 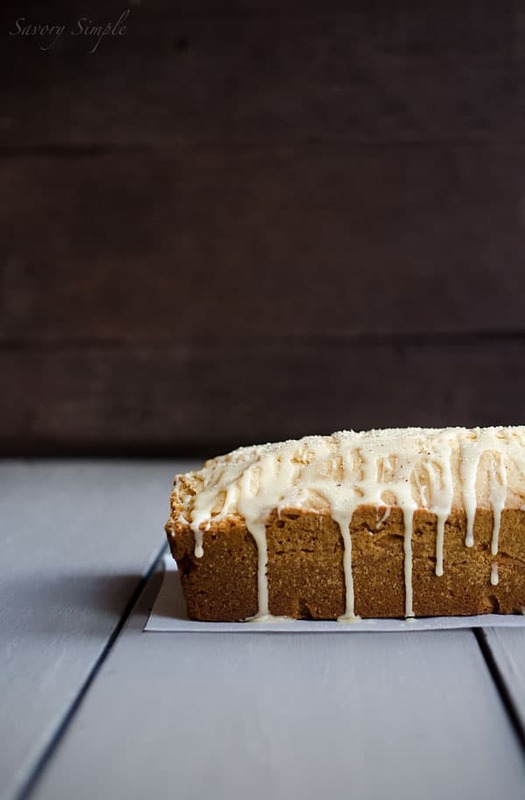 It’s unfortunate because this eggnog cake is a perfect dessert for Christmas. Alas, vacation has been distracting and my blog has taken a backseat. The good news is that this cake will also be a fabulous addition to any New Years Eve party! Every year I turn eggnog into a new dessert. Previously I’ve used it in cupcakes, a roulade, doughnuts, ice cream and cookies. The only logical next recipe was cake! I love poundcake. It’s easy to prepare and there’s something so satisfying about the moist, dense consistency and natural eggy flavor. The rum glaze and fresh grated nutmeg are the perfect finishing touch. 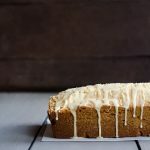 This heavenly eggnog cake is a perfect dessert for Christmas! Preheat the oven to 325 degrees F and place an oven rack in the center position. 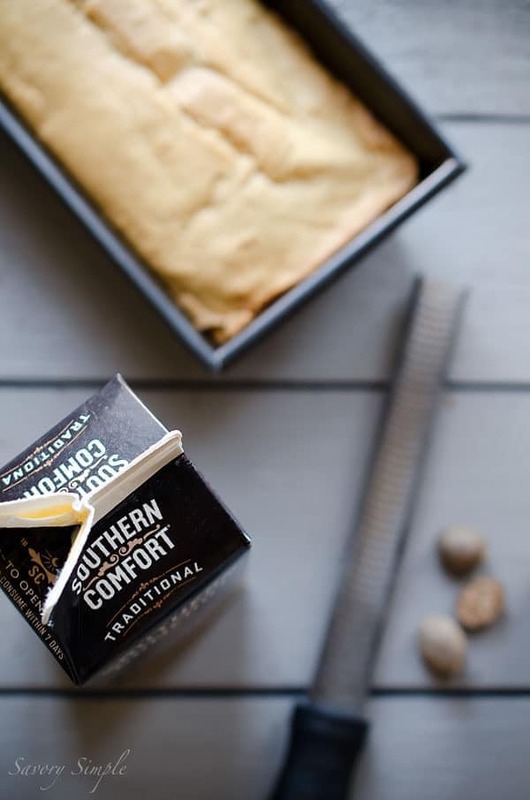 Grease a 9x5-inch loaf pan and line the bottom with parchment paper. Whisk the flour, nutmeg, cinnamon, and salt together and set aside. In a stand mixer with the paddle attachment, cream the butter and sugar together on high speed until light and fluffy, approximately 5 minutes. Scrape down the sides of the bowl and mix on high speed for another 30 seconds. Turn the mixer speed down to medium-low and add the room temperature eggs, one at a time, allowing them to incorporate completely before adding the next. Scrape down the sides of the bowl, add the vanilla and eggnog and then mix again until everything is just combined. Pour the batter into the reserved loaf pan and smooth the top with a spatula. Bake for 70-75 minutes, or until a toothpick inserted into the center comes out clean. 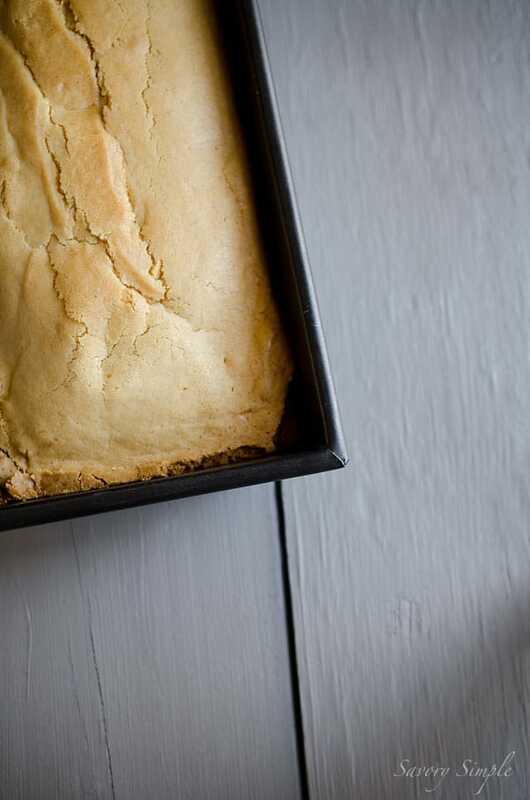 Allow the cake to cool for 5 minutes in the pan and then gently flip onto a cooling rack. Allow the cake to cool to room temperature. While the cake is cooling, prepare the glaze: Whisk together dark rum, eggnog, and confectioners’ sugar until smooth. Before serving, drizzle the glaze over the cake. I seriously love the simplicity of this cake so much! can i make eggnog from scratch and combine together with the recipe? are they at the same consistency with the one stated in your recipe? Hi Via! There are plenty of homemade eggnog recipes online. I think they’ll work just fine here! I loved the glaze on this! I love this, and I eat far more than my fair share! Addicting! I like eggnog in desserts so much better than drinking it and your pound cake is fabulous!!! I keep eggnog on hand, just for baking. What a lovely recipe! Pound cakes make my heart sing, yum! Thank you for the recipe! It was a huge hit with my family! Baking with eggnog is the best and that glaze is amazing!